Two half terms into the academic year is a good place to be. 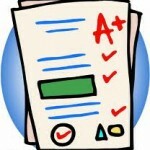 So much ground has been covered that students’ strengths and weaknesses are now utterly exposed. It is likely that you now have spreadsheets full of data and lots of critique on students’ work; you may also have lists of strengths and weaknesses if you record marking events in a similar way to me (click here to see what I mean). Do not let valuable data and reviews fester, waiting pointlessly for Ofsted. Instead, give it a purpose. Year 9’s enquiry question this term is: “Why the bloody hell not?” I wanted to go with “Why the F not?” but that was considered too risqué for this enquiry into taboo language so ironically, we went for the softer approach. Each main enquiry group has at least one pupil who is stronger in their reading and writing abilities. They act as a model to the others; the rest of the group is mixed ability. The group are challenged to answer the enquiry question “Why the bloody hell not” by the end of the term. They are all aiming for an extended abstract level in their final response. For this purpose, they will be exploring a wealth of texts, situations and ideas but not necessarily always as part of this base group. To challenge and or support pupils, the first break away group is set by ability. All pupils in these groups are working towards the same target level. 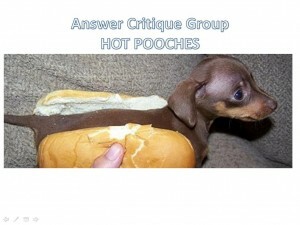 Therefore, I am able to use this group to differentiate any questions that I want them to explore. I use the same criteria that I use to mark their work to set challenging questions one sub level above the pupils’ working at grades. I have included the first lesson of term below so that you can see how this group works in action. This group was created by selecting pupils from three different ability levels to create peer support groups, they will support each other through peer critique. The outcome of this lesson was for pupils to begin their enquiry into taboo language. They needed to recognise what their challenge for this term is ( to reach extended abstract in their understanding of spoken language with a particular focus on taboo language) and understand how, through effective participation and communication (ticking some PLTS boxes here) they will be successful. Pupils demonstrated that they were at a prestructural level for spoken language. When I asked what they knew about the topic they responded with the fact that they speak and they use language. They were unable to identify basic terms used to analyse spoken language such as “hedge,” “filler,” and “back channelling” so it was safe to assume we were starting from scratch. 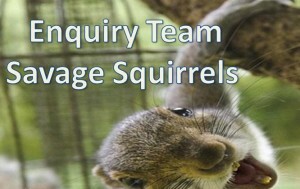 The class were introduced to their main enquiry groups via the scrolling Powerpoint of squirrels. Pupils love giving their groups their own name; however, to be able to call pupils quickly into the correct group for the correct purpose throughout the term, giving each group a collective feature (squirrels, dogs, cats) makes it easier for me to get them to the right group quickly. For example, if I want to challenge pupils and I have set questions according to ability, I can simply say, “Get with your fellow cats” and pupils know where to go. The enquiry scene was set by introducing the question “why the bloody hell not” and we were ready to go. As a result of focusing on different enquiry questions each half term, pupils know that only way to reach extended abstract (or an expert response) in their enquiry is ensure research is rich and varied creating excellent multistructural base knowledge. Today’s examination of a modern play is merely the tip of the iceberg; there are no set texts at Key Stage 3 therefore, we are using this final year of freedom to provide as rich and cultural a diet as we possibly can (any excuse to get them reading my favourite play). By the end of the lesson, pupils are expected (in their main enquiry team) to construct a response to: “How is taboo language used for effect in this play?” Their communication skills are challenged as they must breakout into their new research teams to examine this problem further. 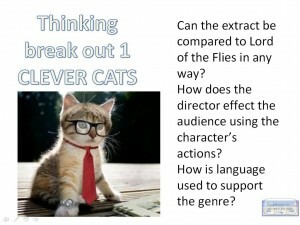 Gold: Can the extract be compared to Lord of the Flies in any way? Silver: What can you tell me about the social class of the characters? Bronze: How does he director show an audience differences between the characters? As this was pupils’ first lesson in these particular working groups and the assessment this term is based on speaking and listening, my role was to assess pupils’ confidence, whether groupings were going to be successful or did I need to make adjustments? I was also assessing discussions for any future teaching needs in reading and communication. After pupils had formulated answers within their challenge groups, they were asked to share these answers with their dog groups (three abilities to be used for peer critique). Each pupil offered their ideas and their peers offered kind, specific, helpful advice ensuring that they returned to their squirrel team with excellent responses. Once back with their original enquiry group (squirrels), pupils shared their new ideas and used them to form a group response to the original question. For many teachers, this is a dark term; to me this is a term where the lights are really switched on and the potential to exceed expectations is great. 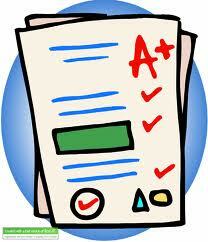 The past two half terms have been used to get to know pupils’ strengths, weaknesses, likes and dislikes. This knowledge has been utilised to create groups that will support and challenge each other effectively. Setting the groups up may be time consuming but the progress that we are about to make as a result will make it worth the effort. Pedagoo… to Infinity and Beyond!